Can dogs drink milk that isn’t from their mothers? Although dogs feed on milk from their mothers while they are young, it might not be the best idea to feed your dog with milk from other sources. Instead of milk, your dog must get his nutrition from a high-quality dog food. Mother’s milk is specific for her babies and changes as the child grows. You can’t compare the milk dogs receive from their mothers with the commercial milk in both the composition and role it has to the dog’s body. Apart from the proteins and fats in the mother’s milk, there are antibodies which help in the immunity of the dog while young. Unlike humans who find milk comfortable and an essential source of proteins and minerals in their diet, dogs are likely to develop intolerance and allergic reactions when fed with milk. Does your dog feed on milk without any problems? Even though this may be possible, it might not work out with all dogs. Milk contains a nutrient called lactose which most dogs are not able to digest due to lack of lactase, the enzyme needed for its digestion. Ignorantly feeding your dog with milk will result in health problems such as diarrhea, vomiting, skin rashes, and general weakness. However, if your dog shows neither of these symptoms, you may continue giving him milk in moderate quantities. Why Is Milk Bad for Dogs? One of the primary causes of health problems from milk is lactose. Lactose is a sugar found in milk and other dairy products. Dogs become intolerant this nutrient due to the inability to digest and absorb it. Lactose has to be broken down into simple sugars for natural absorption by the dog’s digestive system. This process requires an enzyme known as lactase. Why can’t dogs digest lactose? It’s because they lack this essential enzyme to carry out the digestion. Probably you’ve seen your dog experience vomiting, gas or diarrhea, develop skin rashes and become weaker after twenty-four hours of consuming milk. These are symptoms of lactose intolerance a condition often seen in most dogs. These symptoms will appear several hours after your dog has drunk milk. 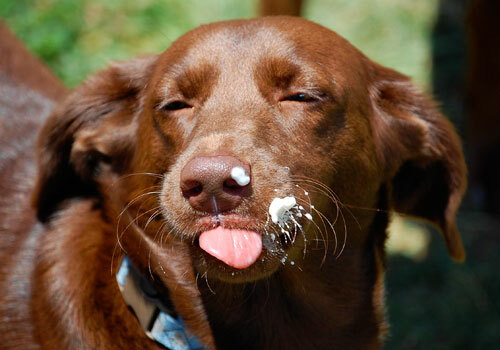 The level or degree of lactose intolerance varies from dog to dog. It is, therefore, important to understand the effect of milk to your dog. The level and amount of lactose also differ in the dairy products available. The lesser the amount of lactose in milk or any dairy product, the safer it is for your dog. The fat in milk is commonly known to cause stomach upsets in both dogs and humans. Humans have a longer digestive system than dogs, yet it takes, at least, twenty-four hours to digest thoroughly cow’s milk. The effect of this fat to dogs will be severe due to the short digestive system they have. Apart from causing gastrointestinal problems to your dog, the high levels of protein in milk can result in allergic reactions. Dogs can live healthy lives without necessarily consuming milk since it is not essential for their diet. In fact, conditions such as diarrhea after drinking milk will expose your dog to other bacterial infections which may be a high health risk. However, puppies need milk for their growth and development in their early stages of life. Ensure your puppy feeds from his mother’s milk otherwise consider giving him special commercial milk as advised by your vet. 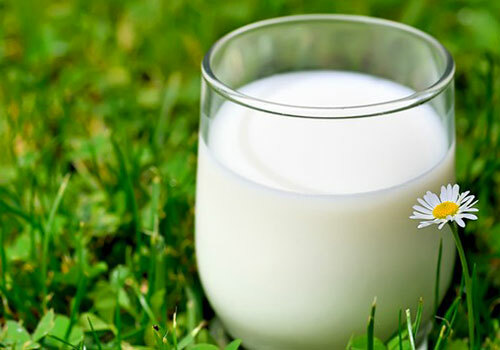 Cow milk may not be the best option due to the health problems that may result. Which Milk Is Good and Why? Is milk good for dogs? Yes, there are some milks good for dogs. There are many different types of milk and dairy products in the market today. Consider the amount of lactose and the level of protein in the milk while deciding which one is good for your dog. Unlike cow’s milk, Goat milk for dogs has a significantly smaller quantity of lactose and more calcium content. Dogs can easily digest this milk within a short time without any health problems. However, you shouldn’t forget to feed your dog a balanced diet while supplementing with goat milk. Avoid soy milk due to the high levels of proteins that might result in allergic reactions as well as digestive problems. Skim milk has high lactose content. Hence, it may be intolerable for your dog. Dairy products such as yogurt and cheese have less lactose compared to milk. Dogs can quickly and easily digest these products. Even though lactose-free cow milk may be easily digestible, it will be less nutritious to your dog. The most significant and nutritious components such as vitamins, proteins, and minerals in lactose-free milk are not sufficient enough. If your dog is allergic to lactose, lactose-free milk will be more appropriate. My Dog Drank Milk! What to Do Now? 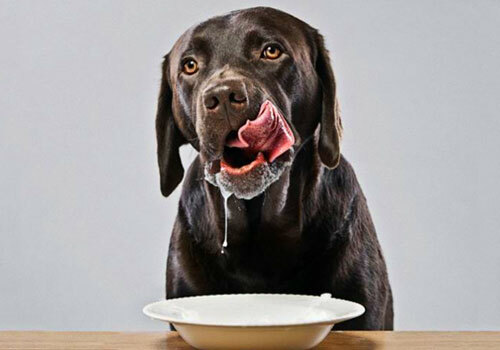 If your dog suffers from lactose intolerance after feeding on milk, then you can take several actions to help. The symptoms often experienced include vomiting, gas, and diarrhea among others. In most cases, your dog will refuse to eat when he is experiencing gas. One of the most common symptoms of this health condition is a continuous rumbling sound from your dog’s stomach. Call your vet and inform him of your dog’s condition. He will be able to advise accordingly. Diarrhea and vomiting often cause dogs to be dehydrated. Provide your dog with sufficient fresh water to keep his body hydrated. Another possible option would be giving your dog Pedialyte as a way of re-hydrating him. If your dog’s symptoms do not seem to be changing, do not hesitate to talk to your vet immediately. For more information, please check this video below. The health of a dog is very crucial for every dog owner. 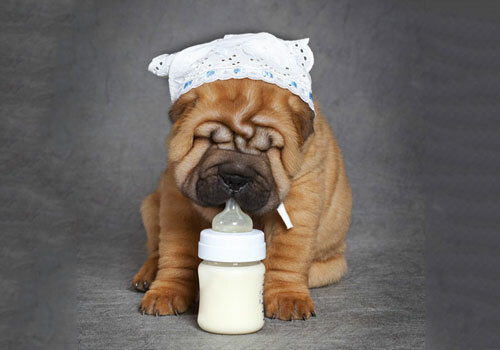 Milk isn’t essential for your dog’s health, especially after he is done feeding on his mother’s milk. 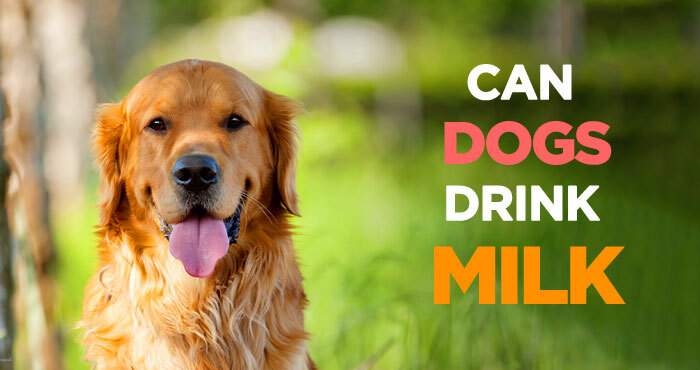 Can dogs drink milk from other sources as part of their diet? It is not necessary. The calcium and proteins are available in other food sources that your dog may feed on. If anything, the harm milk can do to your dog’s health is more than the benefits. If your dog has intestinal and digestive problems when he feeds on milk, then remove it from his diet. However, some dogs are neither intolerable nor allergic to milk and dairy products. If yours is this kind, you are free to have milk as part of your dog’s diet. I have always fed milk and ice cream to my dogs, adults and pups, without ever experiencing any problems. My Grand Parents dogs would line up with the cats in the dairy barn twice a day, 7 days a week, for their share when the milking was done. My dad would mix warm milk with dry food and some melted Crisco for his bird dogs in the winter. They loved it. Hey Mike, that’s really awesome, and I kinda believe that it may also depend on dog too. BTW why can’t you comment on G+. Any issue in particular.